Why Do You Want To Buy A New Mattress? Are you sleeping too hot or too cold? Do you wake up sweating or shivering in the middle of the night? Even after sleeping for a solid 8 hours, do you feel tired every morning? 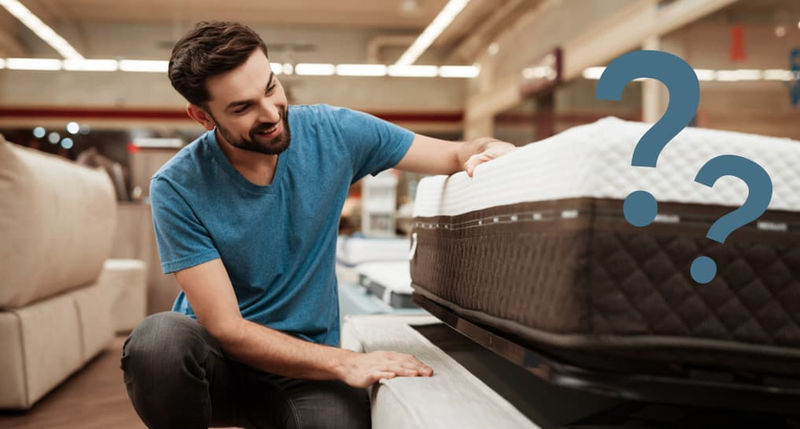 Have you had your mattress for more than 5 years? Is your current bed too lumpy and uncomfortable? Have you developed any sleep disorder or health issue, such as chronic back pain, that you need to alleviate through a new sleep product? Do you need a mattress with a bit of bounce or responsiveness and no sink-in feel? Are you looking for a mattress specially tailored for couples or people who sleep with pets? Is the motion transfer property in your current bed bothering your sleep?